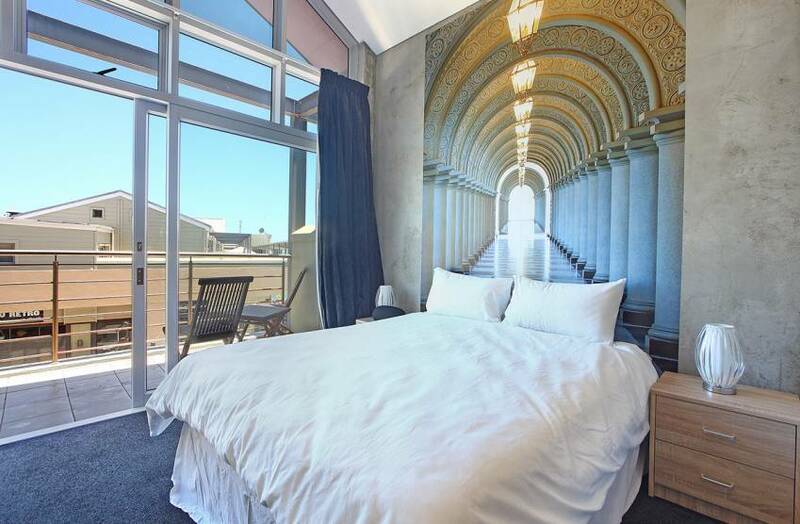 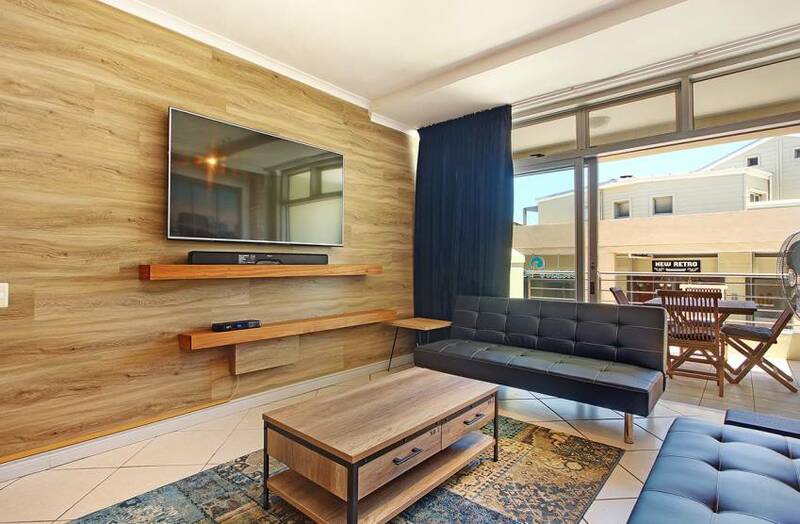 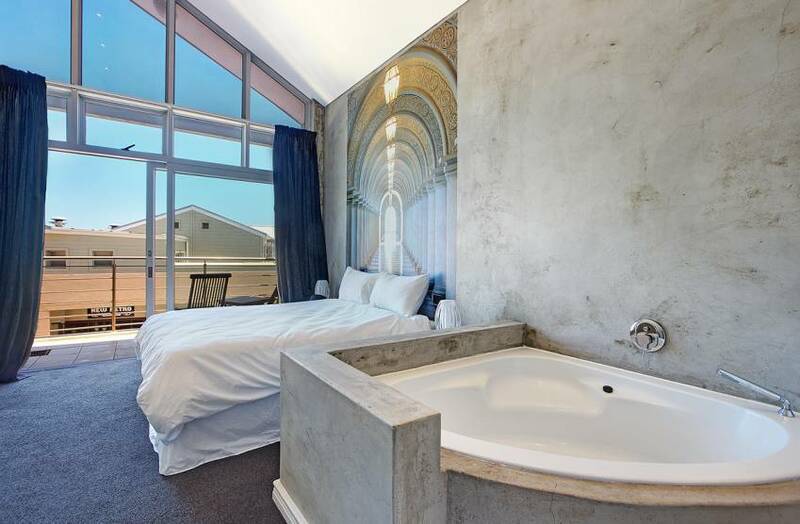 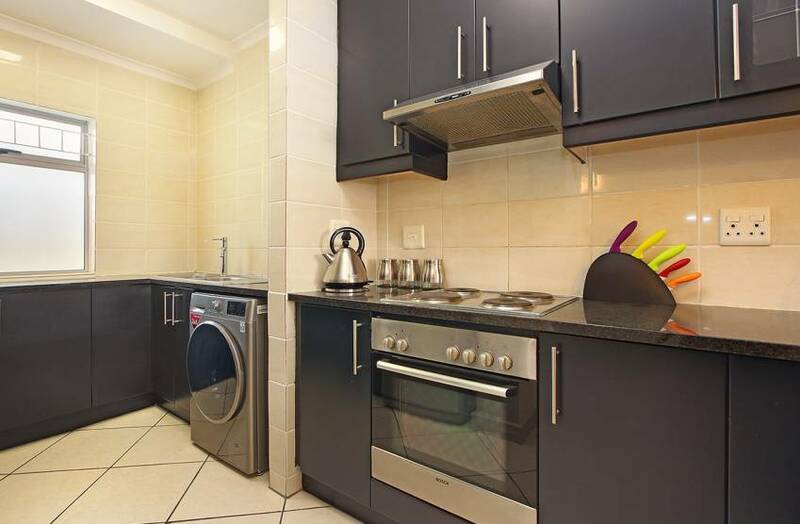 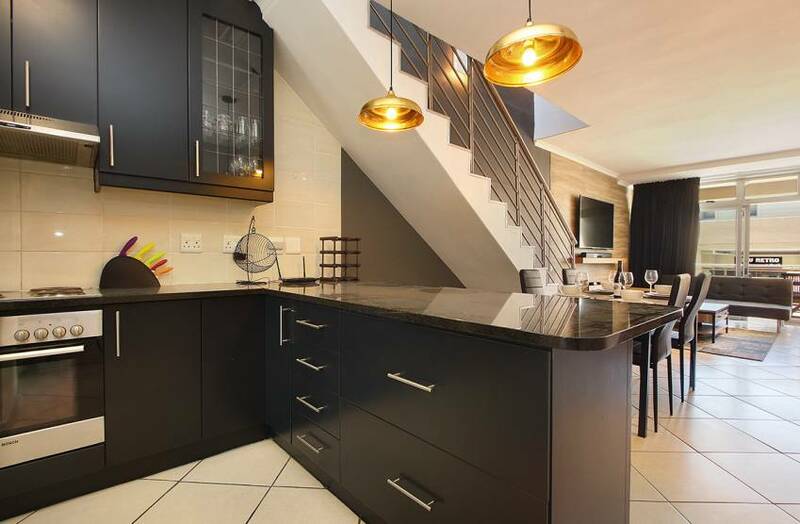 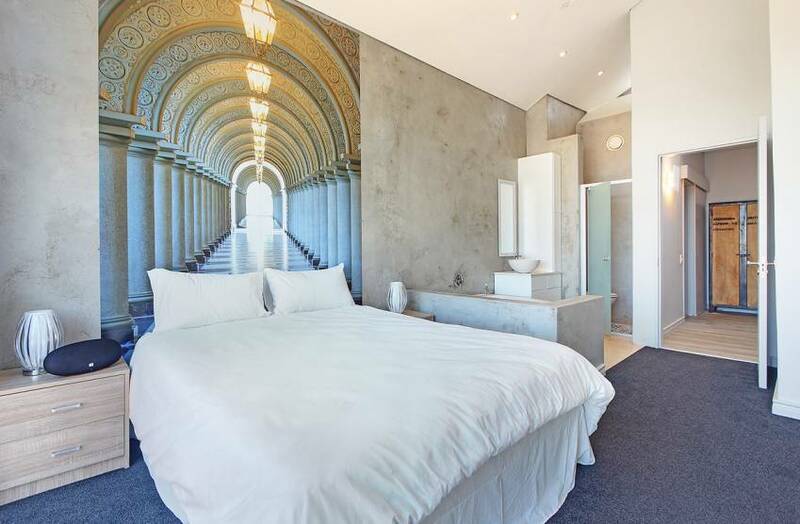 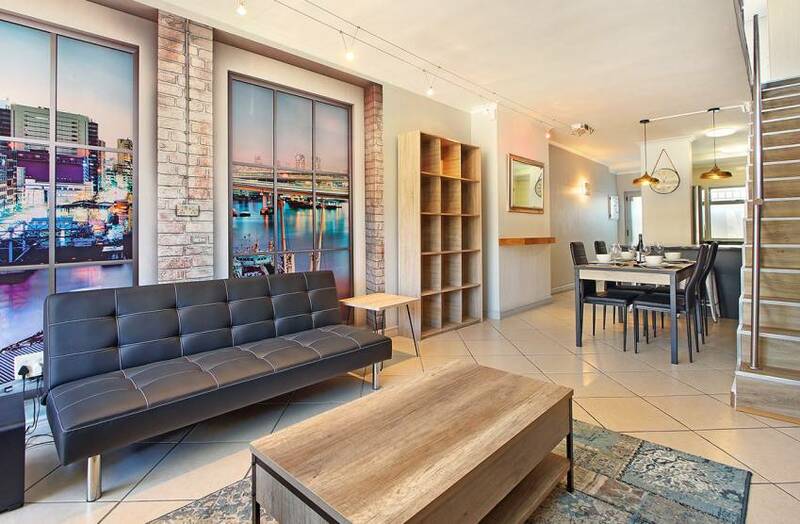 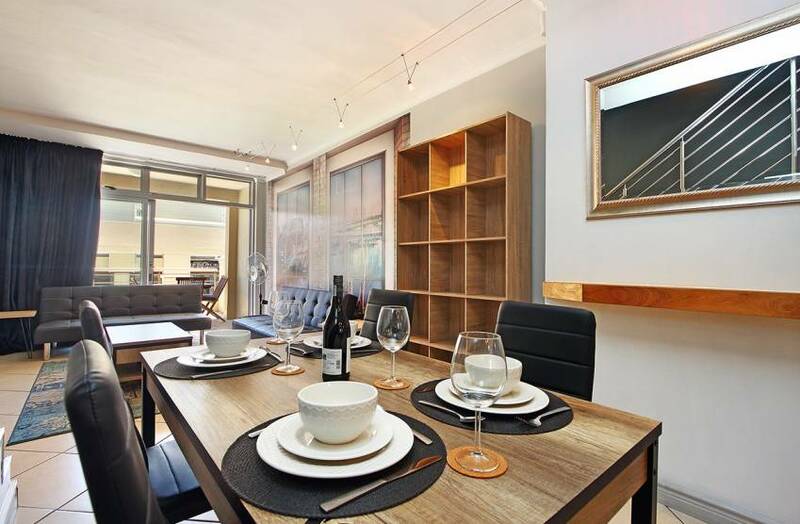 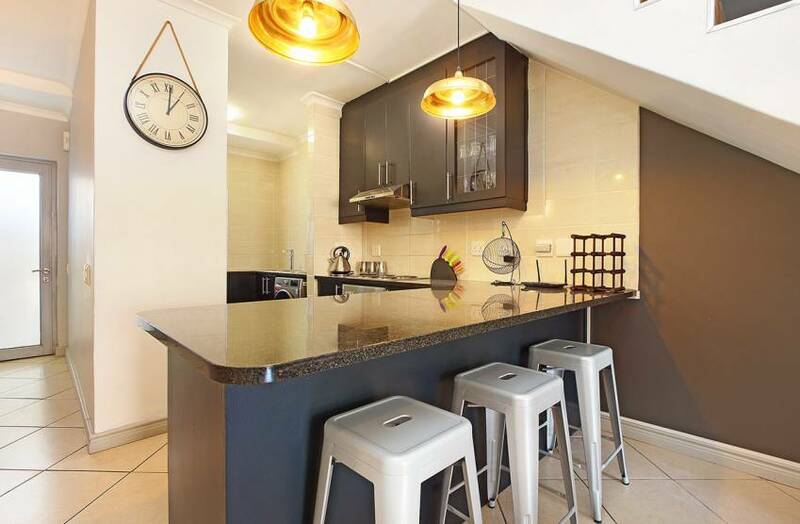 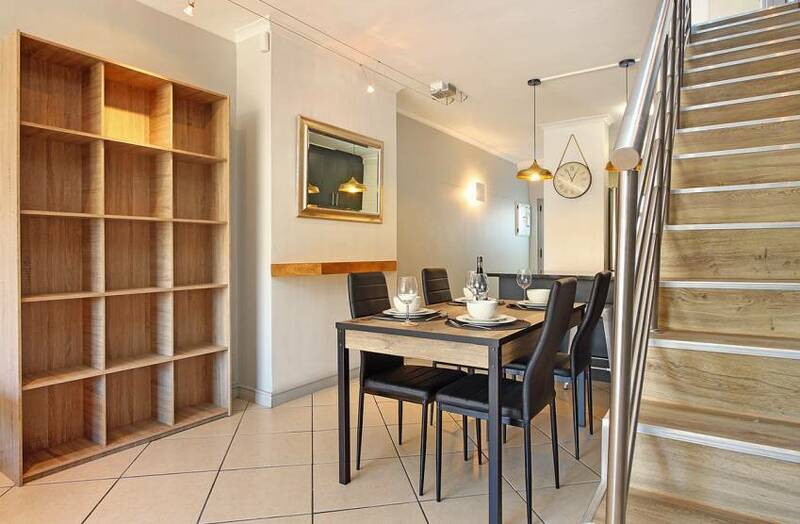 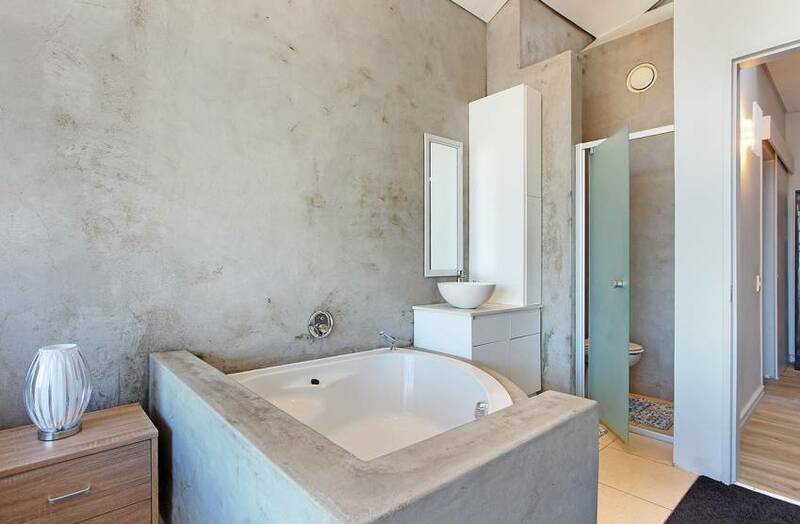 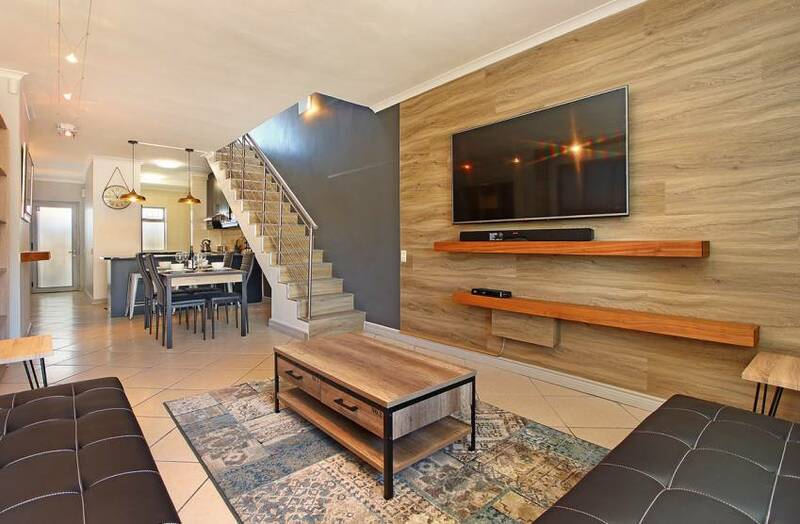 This cosmopolitan and vibrant 2 bedroom holiday apartment is located along the exciting entertainment district of Big Bay, in Cape Town’s Bloubergstrand suburb. 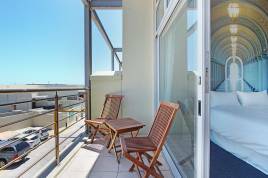 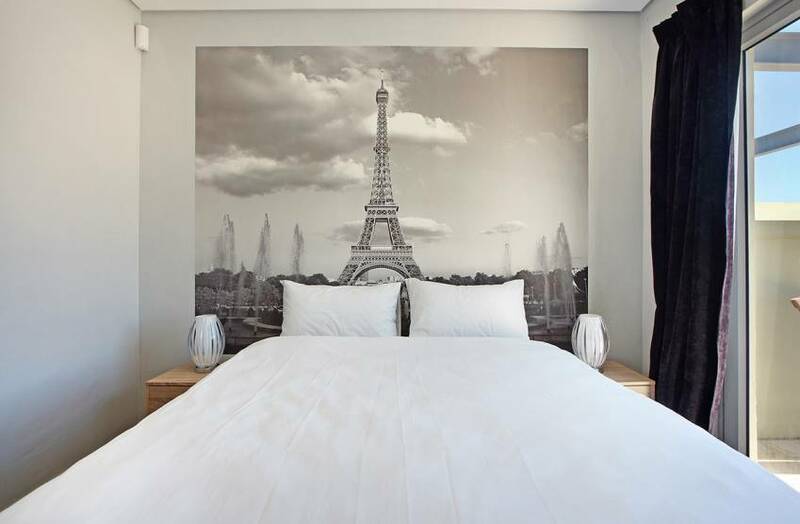 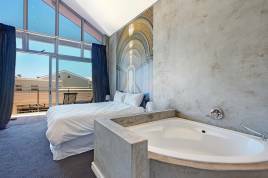 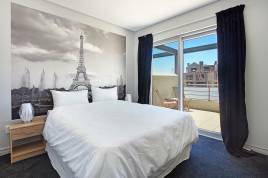 This is the perfect accommodation for those looking to enjoy close access to many highly regarded restaurants and attractions, as well as a beautiful beachfront with unparallel views of Table Mountain. 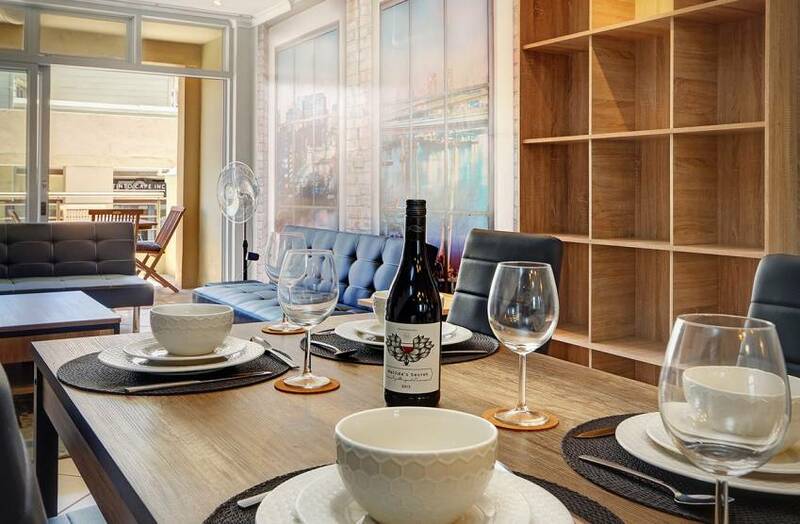 Expanding over 2 stories and displaying unique features and artwork, guests will appreciate the attention to detail that was applied in the decorating of this modern 2 bedroom apartment. 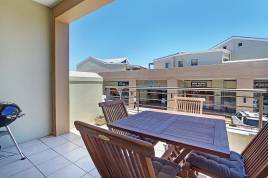 A group of up to 4 friends and family members can stay here together, making amazing holiday memories. 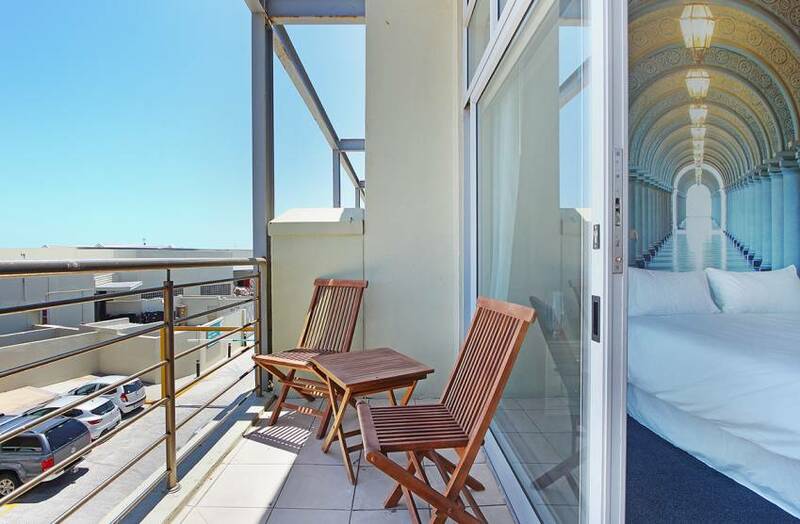 Holiday accommodation in Bloubergstrand can be enjoyed during any season, by local and international guests with a love for natural beauty and the beachfront. 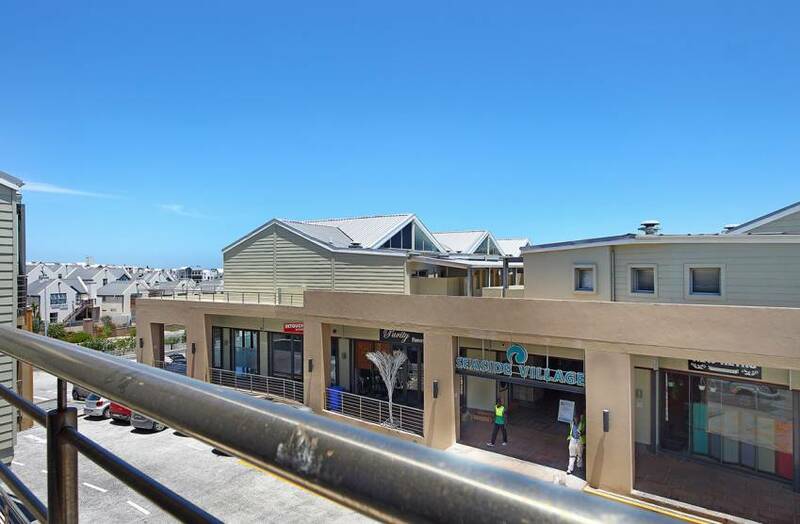 Blouberg is particularly exciting to surfers and kitesurfers, because of the areas wind and wave conditions being perfect for these water sports. 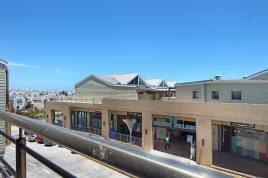 There are also a few great shopping and lifestyles malls in the area, as well as ocean-facing restaurants and cafes for any occasion. 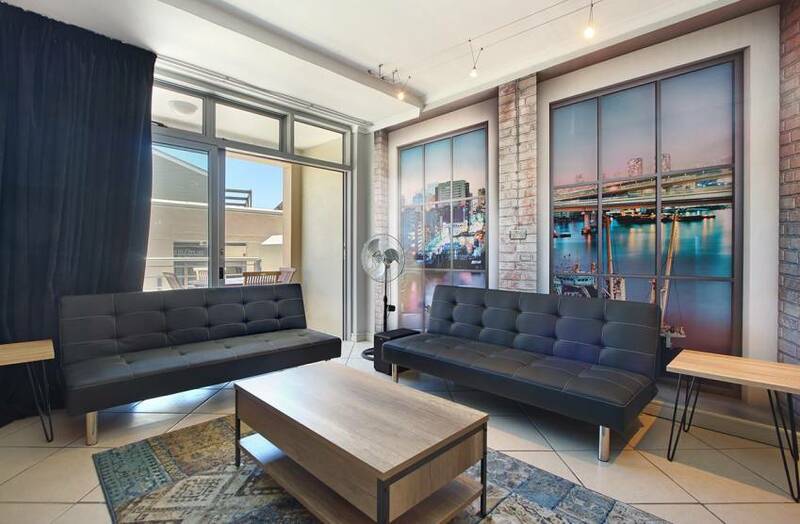 Cape Town’s alluring city centre is a mere 15 minute drive away. 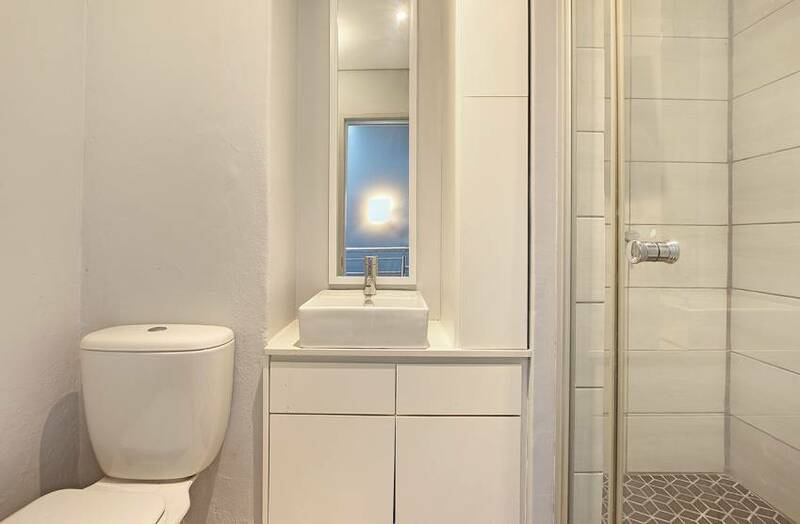 Always look forward to self-catering accommodation in Blouberg, there is both privacy and a sense of excitement to be enjoyed. 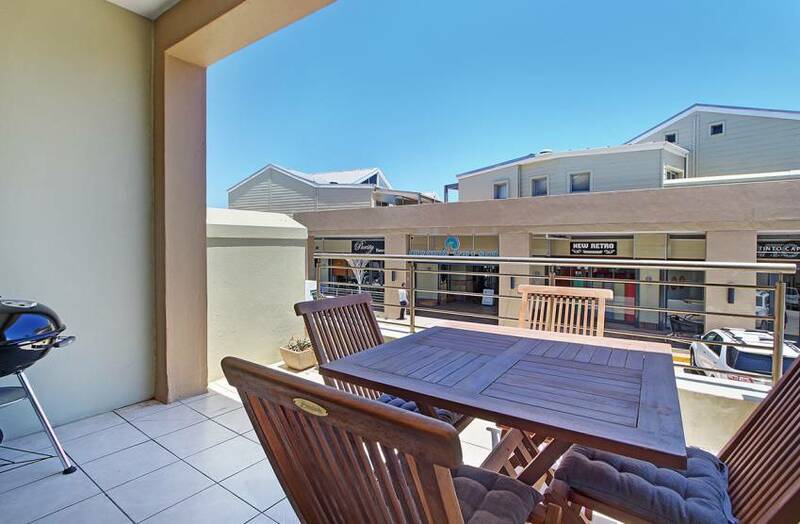 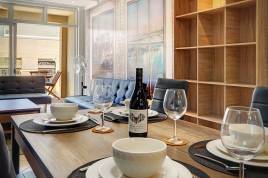 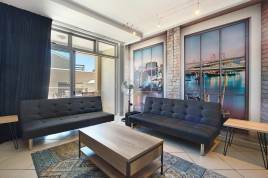 Seaside Village K5 is a great flat that is near all the beauty I love of Cape Town. 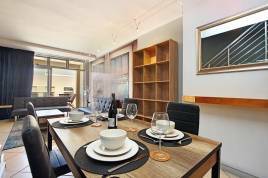 Just loved all that this apartment had to offer, the staff were so great and Bloubergstrand is the most beautiful suburb in Cape Town in my opinion always feel fortunate to visit so often.